Clients are recommended to reserve an appointment in advance to ensure availability. The fastest and easiest way to schedule your appointment is to use the link below. Alternatively, you may contact me at (608) 520-3678. 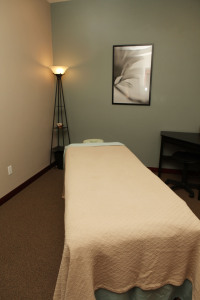 I offer massage in 30-minute and 60-minute sessions. I am available for sessions on Monday, Wednesday, Friday, and every other Saturday. For policies pertaining to attire, confidentiality, and scope of practice, click here. If this is your first massage with me (or ever), please arrive 20 minutes early so that we can discuss your health history and our treatment focus for our session. Arriving 20 minutes early also allows you time to fill out the appropriate forms and prepare for the session. It is extremely important that I have thorough knowledge of your health history because some conditions are contraindications for massage. If this is not your first massage, please arrive at least 10 minutes prior to your appointment time to prepare for your massage experience. This will give you a chance to unwind and ensure that you start your appointment on time. If you are running late, please give us a call. (See “Cancellations and Late Arrivals” policy below.) Please note that your appointment will still end at its scheduled time, and you will still be charged the full amount of your service. We regret having to shorten any valuable time from your service due to lateness. Please silence all cell phones upon entering the office. We also ask that you keep talking to a minimum while in the waiting room. Children will not be babysat during your appointment. If you should need to reschedule or cancel your appointment, please do so with 24-hour notice, or you will be charged for your session. If you cancel with less than 24-hour notice, and I am able to fill your slot, you will not be charged. I accept cancellations by phone only. Do NOT send me an email to cancel an appointment. Sessions begun late due to the client arriving late will end at the appointed time. Depending upon how late you arrive, I will determine if there is enough time remaining to start a treatment, and regardless of the length of the treatment actually given, you will be responsible for the full session. For example, if you had a scheduled 60-minute massage and show up 15 minutes late, the session is now 45 minutes. You will still be required to pay the full session fee. If the therapist is late for the appointment, additional time will be added to your session as time permits. If there is no opportunity to make up the lost time, then you will either receive a discount or will not be charged for the service. Late arrivals and last-minute cancellations due to circumstances beyond your control (e.g., severe weather, medical emergencies, deaths) will be handled on a case-by-case basis. Clients who either forget or consciously choose to forgo their appointment for whatever reason will be considered “no-shows.” They will be charged for their missed appointment, and future service will be denied until payment is made. Clients who consistently fail to show for appointments may be asked to pre-pay for future services. It is important that the massage therapist is compensated for reserved time slots. In an effort to maintain a healthy environment, I ask that you give me advance notice and cancel your appointment (at no charge) if you are sick or exhibiting symptoms of an illness, such as sneezing, coughing, vomiting, diarrhea, tickle in throat, or fever. If you arrive for your appointment with symptoms of an illness, you will be asked to reschedule your appointment. I ask that you do the same if you have young children who are ill and need you at home. Please wait until you have been well for at least 2 full days before getting your massage. This policy is for the health of your massage therapist and your fellow clients, especially those who are expecting and/or immune-challenged, but also for your well being. Receiving a massage when you are sick can make you feel worse. While in the acute stages of an illness, a massage can accelerate the onset of the infection and intensify its severity via additional circulation of blood and lymph. Even if you get a massage after the infection has peaked, you may experience a relapse of symptoms and feel sick again. When you’re fighting off a virus, the best idea is to stay home and rest. If you are too sick to go to work, you’re probably too sick to get a massage. This policy also applies to myself: Should I feel sick or contract a contagion that could spread during the massage session, I will contact you about rescheduling. All packages must be paid in full prior to the first session. Prices listed are subject to change without notice. Payment is due at time of service. I accept cash, major credit cards (Visa, MasterCard, Discover, and American Express), and local checks. Please make checks out to Pearl River Bodywork. A $30 fee will be assessed for all returned checks. Gratuities are very welcomed and much appreciated.